Bhubaneswar: While the elections are around the corner, the troubles of Odisha Congress are getting worst day by day. The party, which has been struggling with infighting for the last several years, the recent resignation and expulsion of a few top leaders, has made the situation worst. In fact, it has become a trend for the Congress to lose its top state leaders in an Election season. In 2014, just a few months before the election, the then Leader of the opposition Bhupinder Singh had resigned from the party to join the ruling BJD. While, Jharsuguda MLA and a strong leader in Western Odisha Naba Das has resigned from the party two days back, the party yesterday suspended Sundergarh legislator Jogesh Singh for anti-party activities. 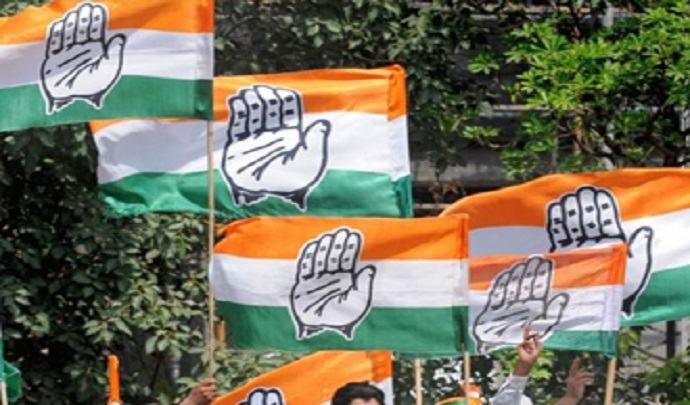 “Sundergarh MLA Jogesh Singh has been suspended for repeatedly giving statements against the party to the media and tarnishing image of Congress,” OPCC disciplinary committee convener Ananta Sethi said. Mr.Singh was served a show-cause notice on Wednesday to reply within 24 hours, but he failed to respond. Mr.Sethi also claimed that the party had expelled Naba Das from the party before he resigned on Wednesday. Mr.Singh, however, said: “I have not indulged in any anti-party activities as alleged. Is it an anti-party activity to praise the chief minister for his good works? Many Union Ministers during the UPA regime had openly praised Odisha Chief Minister, but their statements were not considered as anti-party activities”. Mr.Singh said that he has not taken any decision in regard to joining BJD. “Future will tell what will happen. I cannot predict things,” he said replying a question on whether he would go Naveen’s party. Meanwhile, Prakash Behera, another Congress MLA from Salipur in coastal Cuttack district, has also publicly praised the chief minister and his party. However, no action was initiated against him so far, sources said. Earlier, Congress leader Krushna Chandra Sagaria, who represented Koraput (SC) constituency in the state assembly, had resigned as an MLA in November last year.